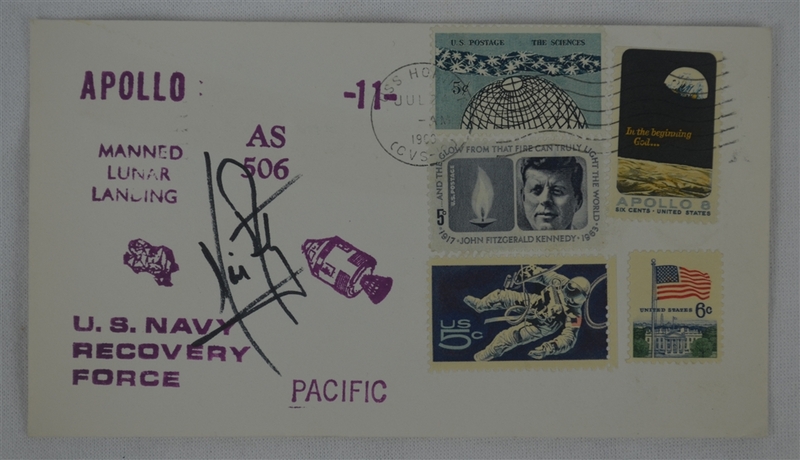 This First Day Cover dated July 24th, 1969 has been signed by Neil Armstrong in bold, black marker. Armstrong was an American astronaut, engineer, and the first person to walk on the Moon in 1969. He was also an aerospace engineer, naval aviator, test pilot, and university professor. Before becoming an astronaut, Armstrong was an officer in the U.S. Navy and served in the Korean War. Armstrong's second and last spaceflight was as commander of Apollo 11, the first manned Moon landing mission in July 1969. Armstrong and Lunar Module pilot Buzz Aldrin descended to the lunar surface and spent two and a half hours outside the spacecraft, while Michael Collins remained in lunar orbit in the Command/Service Module. Along with Collins and Aldrin, Armstrong was awarded the Presidential Medal of Freedom by President Richard Nixon. President Jimmy Carter presented Armstrong the Congressional Space Medal of Honor in 1978. Armstrong and his former crewmates received the Congressional Gold Medal in 2009. Authentic Neil Armstrong signatures are extremely difficult to acquire due to scarcity and incredibly high demand. 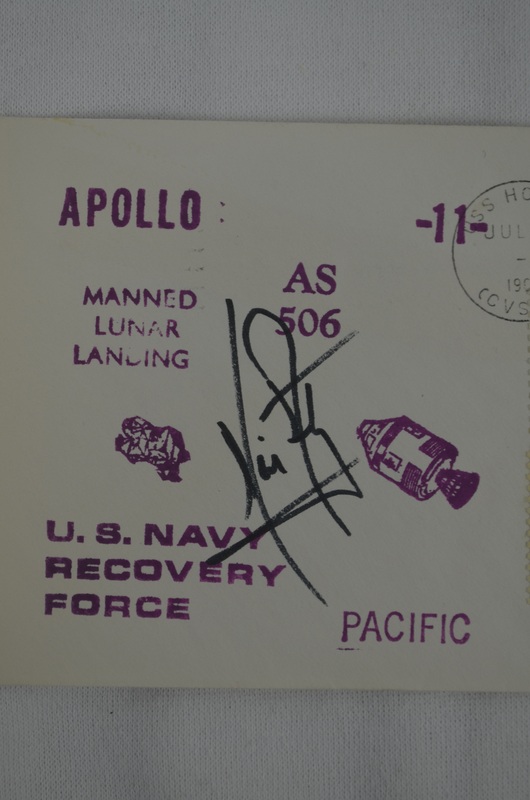 You would be hard pressed to find one of his signatures that were as bold as this one. 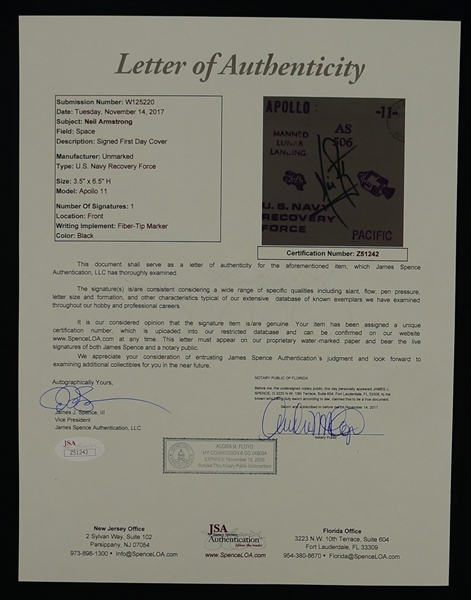 It also happens to be penned on a treasured Apollo 11 piece pinpointed to the date that he became the first person to walk on the moon.